For those sun-seekers out there, the Caribbean offers many fabulous islands to choose. 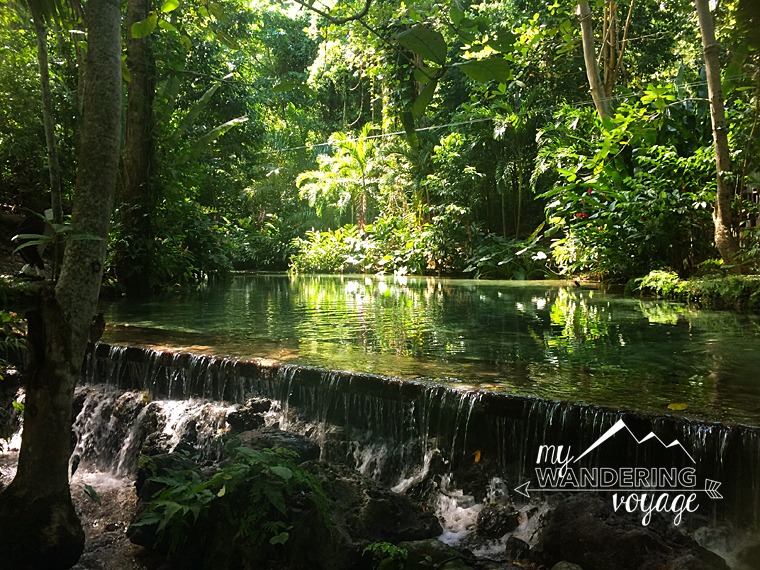 Those tropical, beach-lined, wonderful islands – like Jamaica – are where you want to go to get away from it all. Wait, does anyone else have Kokomo by the Beach Boys stuck in their head? While there is more to see on the islands past the resort walls, there is no denying the alluring power of those all-inclusive resorts. Let’s face it, who wouldn’t want to be pampered by the pool staring at the ocean? Of all the islands I’ve explored, Jamaica is a delight. I mean, what’s not to love? Just look. The all-inclusive trip I went on was something out of the ordinary for me. An opportunity arose and I took it. 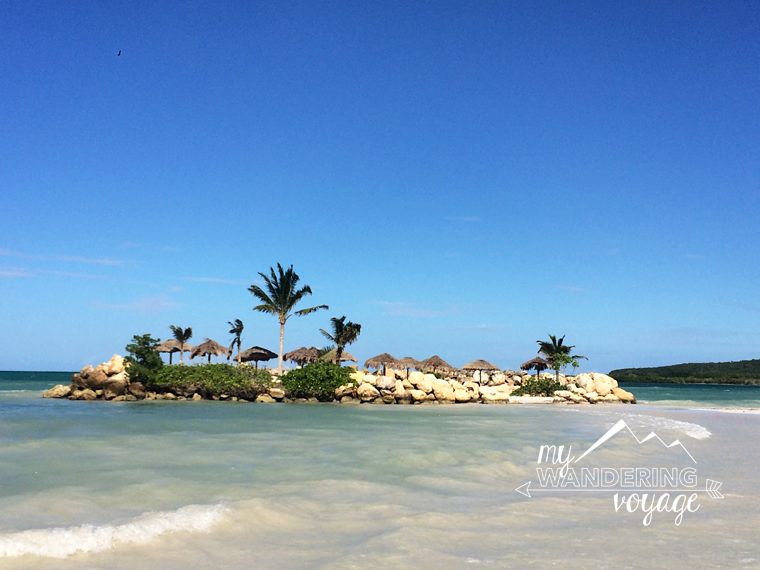 Eight of us stayed at Royalton White Sands resort near Montego Bay and it was a dream. I didn’t plan, I didn’t research. I just let everything happen and I enjoyed it oh-so-very-much. The whole island was just an amazing experience. 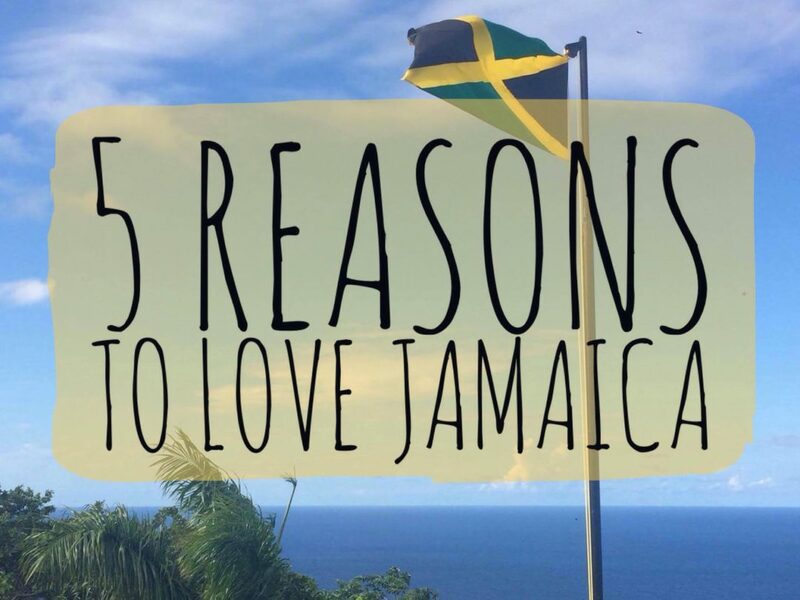 Here are my favourite reasons to love Jamaica, and one day I hope you will find your own reasons to love it too. 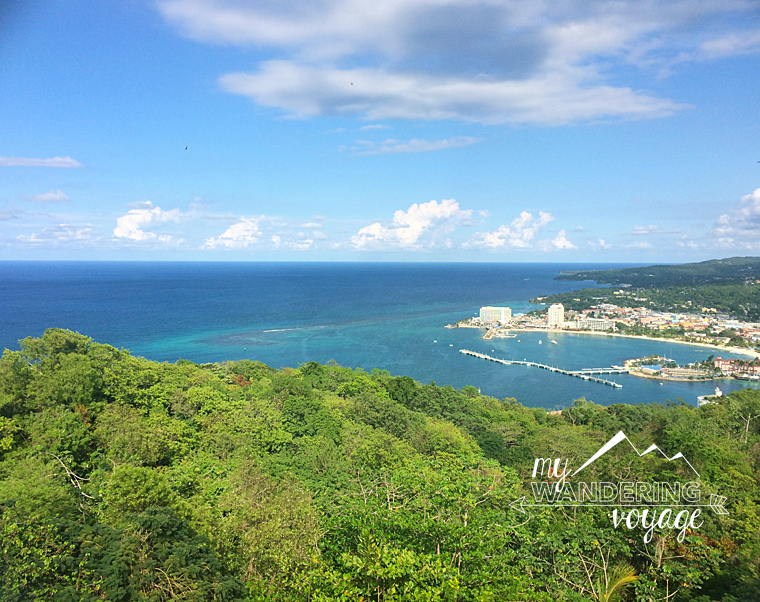 We travelled from the cool Canadian fall and jetted off for the hot, humid tropical island of Jamaica. During my week-long trip, the weather held at a balmy 30 degrees. It was rainy season during our stay, so every afternoon between 3 and 5pm the rains came down in a torrent. The rain didn’t get our group down. We lounged inside, napped, played card games (best cards against humanity game ever). In the morning, everything felt fresh and lush, like feeling clean after a shower. Secluded, clean and soft, the beach just took my breath away. There’s something about hearing the waves crash against the shore that is so magical. Sand has never been my favourite, I prefer a nice solid rock shoreline over sand, but this view I could stare at forever. 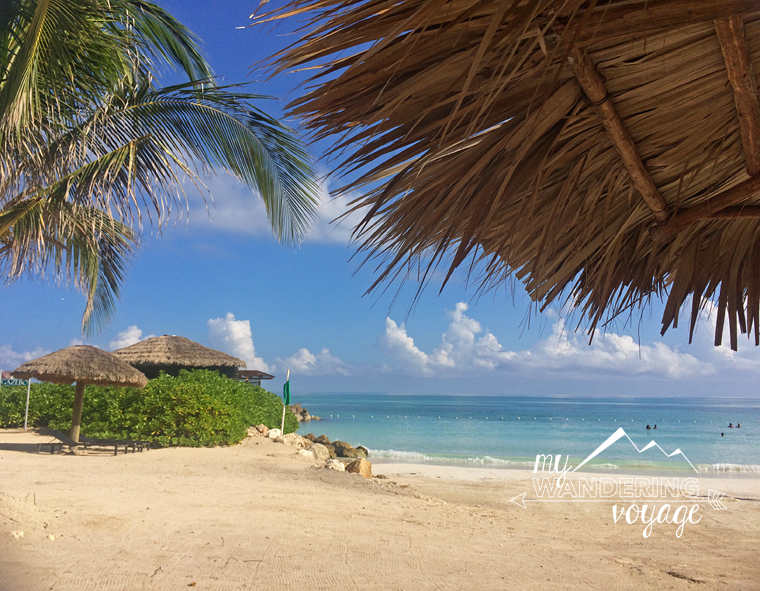 The best beaches are said to be in Negril, on the western tip of the island, but the beach at our resort was a treasure. We even had our own private island. 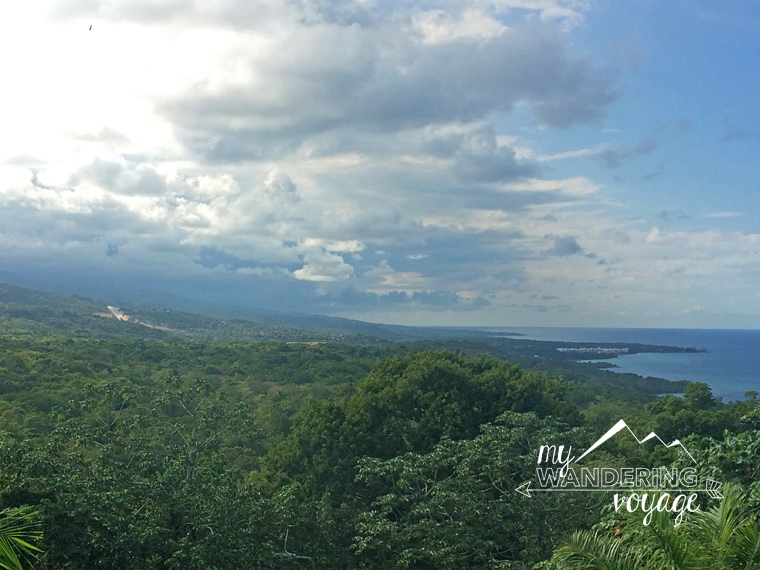 With the sandy coast in front of us, the lush vibrant jungle lay behind us. Coloured with greens I can only dream about, Jamaica is covered by a dense rainforest. During many excursions inland, I was given a sense of wonder about this verdant island. The best view of the jungle was atop Mystic Mountain. It gave you a 360-degree view of the area, which was sensational. There we found a clear creek and the largest tree I have ever seen. Jamaican food is full of spices and herbs making it unbeatable. I can’t get enough of the jerk chicken. At the resort, we had the opportunity to eat at five different restaurants, each with their own spectacle. But the jerk chicken is where it’s at. Mmm. My mouth is watering just thinking about it. The group of friends I travelled with even tried to make our own Jamaican patties and jerk sauce. It was tasty but just wasn’t the same. Every person I met, both in the resort and off were courteous and friendly. 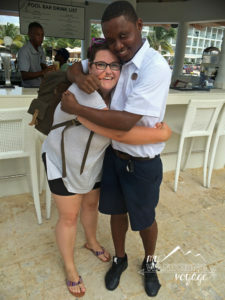 Hands-down, the most wonderful part of the trip was meeting and interacting with the people that call Jamaica home. From teaching us about the deep history rooted in the island to including us in the colourful culture, the people we met made the trip that much more special. 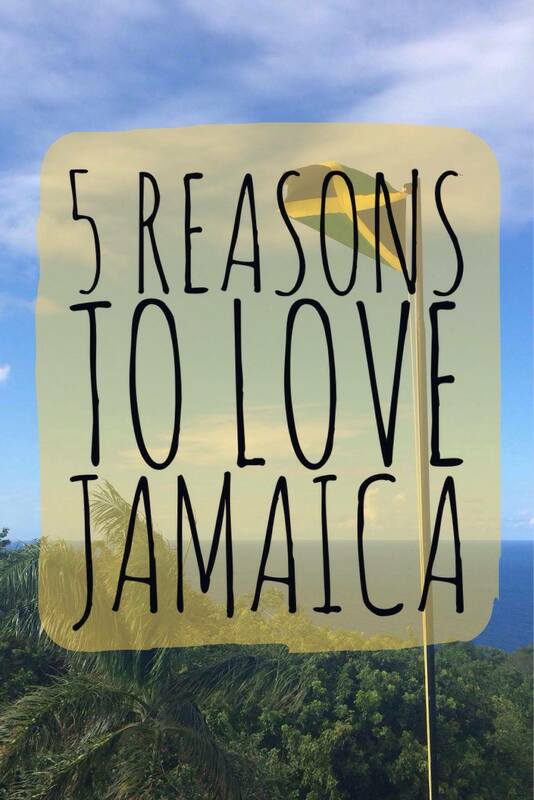 From the alluring beaches to the amazing people, Jamaica is a perfect choice for those looking to soak up some sun. 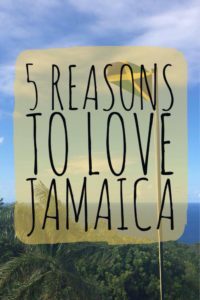 Have you been to Jamaica? What was your favourite part?